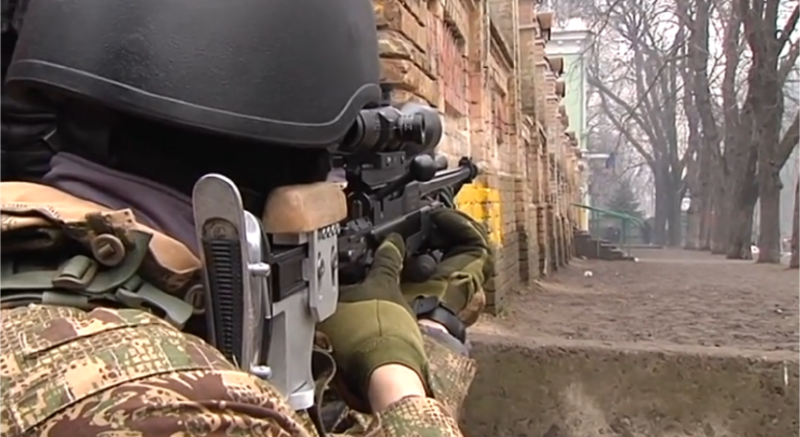 I’ve written a new piece for the ARES company blog, The Hoplite, on Ukrainian made copies of Brügger & Thomet APR rifles deployed in Kiev during the ongoing civil unrest. You can read the full article here. You can read the piece in its entirety, here. As this team was the second in line situated on corner Institytuts’ka S and Bankavo St in Kyiv and probably didn’t act. On the background you can hear firing AK-47’s near the Cabinet of Ministers and the National Museum.